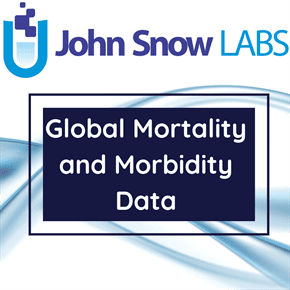 This dataset provides global and country estimates of where maternal mortality ratio (MMR – the number of maternal deaths per 100,000 live births), the number of maternal deaths, and the annualized rate of decline in MMR were estimated from 1990 to 2011. This dataset was from the results of the global analysis of maternal mortality for years 1990-2011 published online in The Lancet in September 2011. The study titled “Progress towards Millennium Development Goals 4 and 5 on maternal and child mortality: an updated systematic analysis”, provides global and country level estimates of the maternal mortality ratio (MMR – the number of maternal deaths per 100,000 live births), the number of maternal deaths, and the annualized rate of decline in MMR. Institute for Health Metrics and Evaluation (IHME). Maternal Mortality Estimates and MDG 5 Attainment by Country 1990-2011. Seattle, United States Institute for Health Metrics and Evaluation, 2011.